HITS » The 2018 HITS Ocala Winter Circuit Program is now available online! The 2018 HITS Ocala Winter Circuit Program is now available online! The 2018 HITS Ocala Winter Circuit Program is now available online! 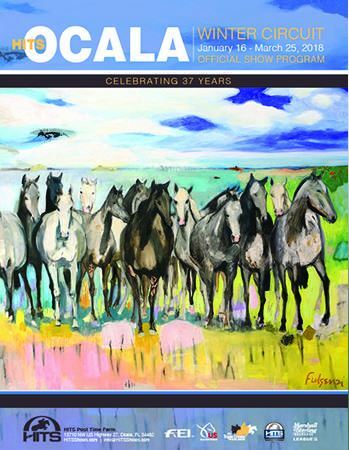 Check out all that the HITS sponsors, horse shows, and the City of Ocala have to offer. Click on the program cover below or visit www.Hitsshows.com to view. Also check out the website of our cover artist, Maureen Fulgenzi. You are receiving this email because you signed up for Prize Lists from HITS Horse Shows.